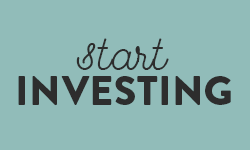 Of all the things in the financial world that get a bad rap, budgeting is pretty far up there. Collectively, we’ve got some pretty skewed ideas of what budgeting is and isn’t. Budgeting is about cutting back. Budgeting isn’t going to let me drink lattes. Budgeting isn’t going to be fun. Budgeting isn’t going to work. OK, explain yourself – what does that even mean? Basically, insert anything that you’ve wanted to do, and then end it with “or I can be A+ at money.” That’s a pretty normal reaction when it comes to thinking about your money and your monthly budget. But it’s also the kind of thing that budgeting can totally debunk for you. Money is this weird thing, because on a monthly basis, there really is only so much of it. That limit – the amount of money you have to allocate to all the things you want – can change over time, but if you’re literally looking at “how much I have in my account to make it through this month,” it’s a fairly fixed number most of the time. That means that yes, in some situations, there will be real “or” choices you have to make. But the amount of “or” choices that are truly based on the limitations of our monthly money situation are few and far between. And there are way more “and” conversations that you can have if you’re clear on your budget. OK, so what’s “and” all about? Let’s flip some of those pesky “or” statements around, and look at how much better they sound. And let’s go even further with it. Whoa whoa whoaaaaaa. Is this just me getting crazy? No. This is what happens when you get crystal clear on your budget, and have a rock-solid plan in place for how you want to spend your money in a given month. One of the biggest reasons I hear about why people don’t want to build a monthly plan for their money (ahem, a budget) is that they’re stuck in the “or” mentality. They don’t want to sit down and take a hard look at how they’re spending and saving their money, because if they did, they’d find a whole pile of “or” statements that they’d really rather not deal with. But if you go in, fully prepared to figure out how to replace your “or” statements with “and” statements, even if you’re not entirely sure how you’ll be able to do it just yet? Well. That’s a different experience altogether. Oh my god Desirae, can you be done with the weird word things already? Nope. Can’t stop me, this is my blog. Which like, are two very differently priced items, but I don’t know many luxury brands, OK? But in theory, you’re right. If you only have so much money to work with in a month, you can’t “and” your way into a lifestyle that’s way beyond your means. Anyone who tells you differently has gone off the deep end, and you should kindly gift them a calculator sometime. The “and” approach works when it’s focused on making sure that you’re not eliminating something you really want from your life, in the name of money. You can definitely afford your priorities, and the best way to make sure you can is by harnessing the last magic word: “if”. What that “if” will be looks very different depending on who you are, how much money you need to find to make it happen, and what you care most about. Well, that’s exactly why I can’t budget for you. For all the experts in the world, who have all kinds of expert advice on how to do money (ahem, guilty) there’s only one person who’s an expert in what you want to do with your money. On the plus side, that means you know everything you need to know to build a monthly money plan that works for your life, “and”s very much included. On the down side, it means that no one else can really do the work for you. Listen, there are no magic bullets here (magic words, sure, but those don’t usually kill people) but I do have a good place you could start. Next week, I’m going to be launching a budgeting course called the Quick Budget Fix. It might be right for you! And it might be totally wrong for you! But there’s a quick way you can find out. I’ve made the entire course outline, and all 20 steps we’ll walk through during the course, into a one-page checklist of the steps I recommend you take to figure out a monthly money plan that works for you. And you can get it for free, right now. The course is currently closed for enrollment, but if you want to take the checklist and run with it? Nothing would make me happier. 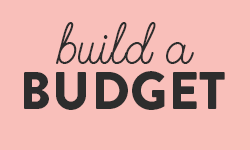 Go build your best budget, boo. If you think you might want a bit more support actually Doing The Things, with spreadsheets and worksheets and a whole community full of people (plus meeeeee) to support you through the process? 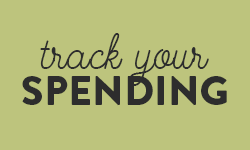 You’ll be the first to find out when the course opens again for another round of budgeting awesomeness! Yes! Cutting some expenses helps free up money for so many other things. When we started thinking of our budget as a spreadsheet of priorities, it really helped. Right?!?! So much easier to be like oh, ok, if this is a priority but I spend $10 a month on it… hmmm. That doesn’t seem right. Totally! It’s such an ongoing system, and changes a lot when your goals and priorities change (Which happens SO MUCH lol). And I cannot wait to read about this cell phone switch up! My phone is probably one thing I’ll cling to until the very end, haha. This is a really great mindset shift! I have experienced some heart ache in budgeting but so much more freedom than I ever imagined! Most anything can fit into your budget if you make it a priority and by adding your magic words to find a way to make it happen. Great post! Thanks! Great post, Des. I like to think of it like the math SAT problems. You can come up with the solutions, but sometimes you have to be creative. It’s all about knowing and prioritizing our values and ditching what’s not important to make more room for what is. I love that! (Even as someone who totally dodged the SATs, thanks Canada.) But seriously, it really all does come down to doing the work to figure out what really matters. Love this! Especially since one of the reactions a lot of people have with, say, retirement savings, is that it’s too late for them. Like they lost their one chance to be good at money. I like this concept. Forcing ourselves into limitations is never sustainable. 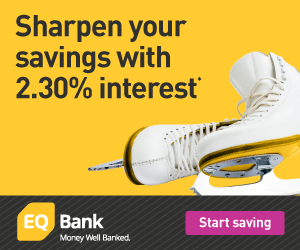 This gives a better way to frame money and budgeting decisions. Great stuff! Words matter because they shape how we frame our world – I really like how you used them here. You’re absolutely right that there’s almost always an “if” that enables an “and”. Thanks for making me think about what “ifs” we might have! I really like this post. Prioritizing is so important! I’m constantly trying to figure out how much to budget for just food 😂 I find it just fluctuates so much on a monthly basis. But most of my extra money goes into savings because of my goals. 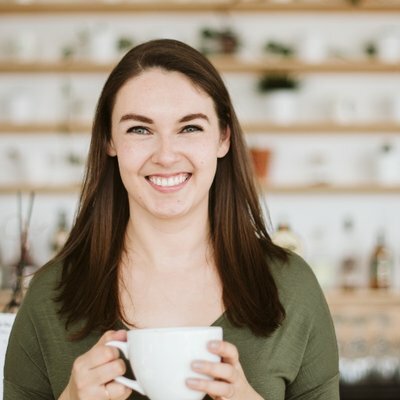 I’m still trying to figure out my monthly budget (and actually adhere to it, which is the biggest battle), so I love this mindset shift and will be trying it out! That’s awesome Erin – let me know how it goes! Love this! I tend to be a very black and white person so OR is my favourite word when it comes to spending my money. I literally cringed when I read AND. “You mean we can have more of what we want in life?” That’s just crazy! IF might become my favourite money word from now on. It shows you can meet multiple money goals, without being overly simplistic or optimistic (pessimist right here!). Thanks for blowing my mind Desirae!